Sexual Harassment Panda visits Mr. Garrison’s class. Cartman sues Stan for sexual harassment and Kyle’s dad is getting rich. 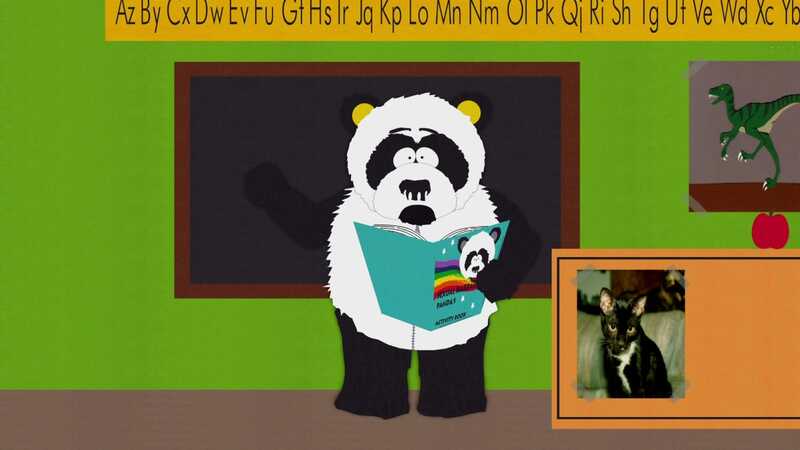 The boys go in search of “Sexual Harassment Panda” to stop the insanity. They find him at “The Island of Misfit Mascots Commune” and convince him to change his cause. 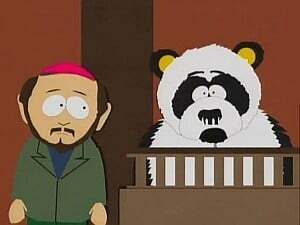 He becomes Petey, the “don’t sue people” Panda.